Unique 12 inch physical globe that actually revolves once every 24 hours, just like our planet! By using an internal shield, only half the globe is illuminated, which demonstrates day, night, dawn breaking and dusk falling around the world. 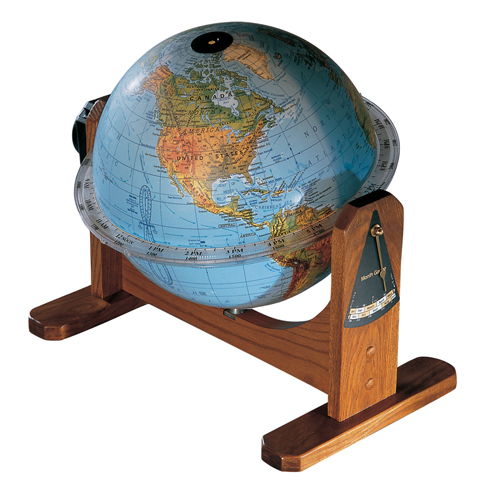 This globe brings the concept of rotation, seasons, daylight and world time to life. Stands 18 inch high.